Bais Menachem Lubavitch Shul - Join Rabbi Moshe and Chani Katzman for daily and Shabbat Services in our warm and inviting Chabad House. Enjoy our children’s program, Mini Minyan and a host of Shul Events and Celebrations! Come and say L’Chaim! 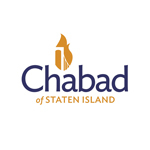 Chabad Israeli Center - Rabbi Nachman and Chaya Segal offer a wealth of Jewish Classes, women’s programs, Shabbat Services, holiday and children’s programs in the heart of Staten Island’s Israeli community. Chabad of the South Shore - Serving young families by providing educational programs starting from the Chabad Hebrew School to holiday family events. A center where you’ll really feel at home - your Chabad house on the South Shore of Staten Island. Enjoy Shabbat and Holiday Services, Adult Education and youth programs. Directed by Rabbi Levi & Freidy Katzman. Gan Israel School - Our highly acclaimed pre-school offers the highest standard of education and premier quality of child care on Staten Island.Lauded by the United Chinuch Offices of America as A most enriching and exceptionally high quality of education program. Directed by Morah Chani Katzman. The CTeen Network is inspird by the Lubavitcher Rebbe, whose belief in the power of youth transformed the teen years into a time of purpose and self-discovery. CTeen harnesses the incredible potential of teenagers with awesome programs that bring teens together to give back to their communities and the environment. Camp Gan Israel - In a lush forest setting a Gan Izzy summer includes trips, swimming, hiking and sports, all revolving around the week’s Jewish Theme. Children ages 3-12 experience the summer of a lifetime. Directed by Rabbi Mendy Katzman. JLI Adult Lecture Series - Enjoy the critically acclaimed world-wide JLI Lecture Series taught by Rabbi Mendy Katzman. Find out what the finest Jewish minds are saying about today’s Hot Button issues. Join us, give us a try, and find out why over 30,000 students attend the classes worldwide. Hospital Visitation - Kind words go a long way in alleviating boredom and loneliness of a hospital stay. It’s why Chabad of S.I. devotes itself to hospital patients in area hospitals. Services for the Incarcerated - The Lubavitcher Rebbe taught us that “it is never too late”. Change is always possible. We offer support, visitation and counseling to Jewish inmates in the greater New York area. Chabad’s “Jew Krew” - is an exciting youth group where children have fun learning about their rich Jewish Culture, through a series of crafts, cooking, baking and learning the proper etiquette of being gracious little hosts and hostesses. Members gather for fun, interactive activities that promote Jewish values and friendship. Each meeting features fabulous craft projects, games and creative cooking/baking with special emphasis on Jewish customs and culture. For children ages 5-11. Jewish Women’s Circle: Feed Your Mind...Nourish Your Soul...Delight Your Senses...Reward Yourself...Join the Circle - The Women’s Circle brings together Jewish women of all ages and backgrounds to learn, laugh, experience and rejuvenate the mind, body and soul. Each of our meetings feature lively, meaningful discussions, a great do-it-yourself activity, delicacies to taste, a chance to socialize, and the opportunity to meet new friends. Chabad Hebrew School - Join many Jewish children every Sunday; learn how to read and write Hebrew, about the Jewish Holidays and traditions in a fun and interactive way. Children develop a relationship with the warm and loving teachers, while getting a good feeling for Judaism and being a proud Jew! Kapparos Program is Sunday, September 16 from 6 to 8:30 p.m.
Click here to pre-order your chicken for Kapparos.